Northern California Community Loan Fund (NCCLF) seeks an exceptional President who is committed to building financially strong and culturally vibrant communities. 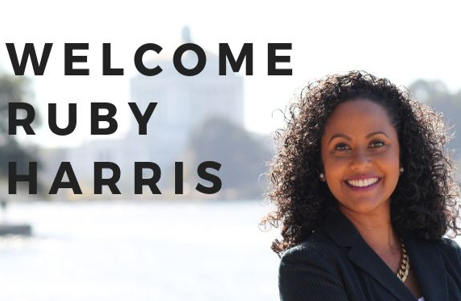 The successful candidate will be a strong and innovative leader, a stellar communicator, and be firmly committed to advancing racial and economic equity in underserved communities. NCCLF’s current President, Mary Rogier, will be leaving the organization in early 2019 after providing 20 years of outstanding service. NCCLF is governed by a 13-member board of directors. The organization’s current operational budget is approximately $7M. There are currently 37 staff, including a Leadership Team of 6. Lending – NCCLF provides real estate loans for affordable housing, community facilities, healthy foods, and economic development projects; working capital loans to meet the short- and medium- term operating needs of nonprofits and other mission-driven enterprises serving low-income communities. Consulting – NCCLF offers financial management and real estate guidance to nonprofits, small businesses and social enterprises seeking to expand capacity, evaluate real estate readiness, and use financial resources more strategically. NCCLF intentionally creates equitable opportunities for people who have been shut out of traditional financial spaces, and offers strategic guidance to help them achieve stability and financial growth. 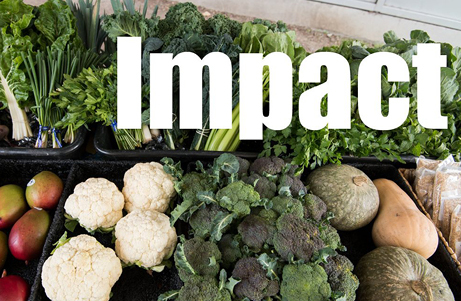 Social Impact Investing – NCCLF invites investors to join the organization as community allies, displacement mitigators, and long-term equity builders through impact investments. Each investment is made to fund positive social change within underserved communities while offering the potential of financial return for investors. NCCLF is one of very few CDFIs in the nation to receive the highest rating, four-star AAA policy plus, from the AERIS CDFI Assessment and Ratings System in recognition of NCCLF’s financial strength, policy advocacy, and social impact. NCCLF expanded its focus on food equity and access by assuming leadership of the California Fisheries Fund, a loan pool dedicated to bringing capital to small family fishing operations in California coastal communities. In 2017, NCCLF also became the administrator of the California FreshWorks initiative, which unlocks capital for innovative projects that bring healthy food options to areas of low access throughout California. For over a decade, NCCLF has run a place-based initiative in San Joaquin Valley focused on increasing equity in rural communities, with particular focus on strengthening the nonprofit sector and supporting enterprises that contribute to the advancement of racial and economic equity. 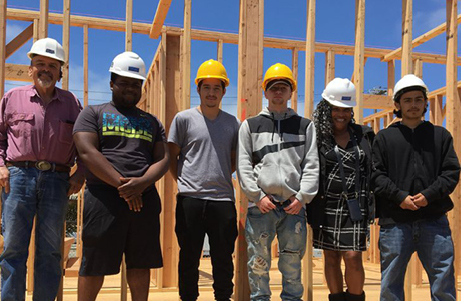 NCCLF partners with California State University Fresno to offer a Community Facilities Challenge where students from Finance, Design, Construction Management and Humanics work together to develop a real estate analysis on behalf of a community based organization to benefit a low- income community. In 2016, NCCLF launched PRO Oakland, a three-year collaboration with Main Street Launch, which supports nonprofits and small businesses impacted by the Alameda County Transit Bus Rapid Transit project. PRO Oakland offers expert technical assistance and flexible capital to these organizations in order to mitigate disruption, avert displacement, and prepare these entities to thrive once construction is complete. In 2013, NCCLF helped develop the Community Arts Stabilization Trust (CAST), which purchases real estate to protect arts organizations from the surging San Francisco real estate market. In 2011, NCCLF launched its partnership with the City and County of San Francisco to provide technical and financial assistance to nonprofits at risk of being displaced. The Nonprofit Displacement Mitigation Program administered more than $2.5M in financial assistance grants to 57 organizations, and provided technical assistance to 80 nonprofits at risk of displacement. Impact and Influence – A commitment to advancing economic equity by providing products and services to enterprises that lack access to capital or fulfill a community need; advancing racial equity by supporting enterprises that are led by people of color or address issues related to people of color; meeting the needs of low and moderate income individuals by preserving and supporting the community through lending that fills a gap in the housing market; supporting the growth and sustainability of nonprofits that align with NCCLF’s mission; and, forging strategic partnerships, sharing best practices and participating in systems change work. Financial Sustainability – Actively seeking a healthy mix of revenue sources and implementing robust financial scenario planning that allows NCCLF to react proactively to changes in the funding climate. Organizational Excellence – Strengthening NCCLF’s capacity to attain its organizational goals by implementing decision-making and change management processes that are rooted in the organization’s values and culture, enhancing professional development for staff, strengthening program evaluation systems, and deepening efforts to share compelling stories about NCCLF’s impact. Provide vision and leadership in pursuit of the Fund’s mission; and ensure that NCCLF continues to implement impactful, high quality programs and services. Provide thought leadership across the CDFI network and beyond. Foster an organizational culture that values high performance, high quality services, successful and measurable outcomes, and rigorous evaluation. Advance NCCLF’s firm commitment to racial and economic equity. Guide the implementation of the strategic plan; oversee the identification and development of new programs and products including lending, technical assistance and capitalization. Further the Fund’s public relationships by representing the Fund in public forums, foster key external relationships and partnerships, and oversee the growth and focus of the Fund’s public visibility and image. Oversee NCCLF’s rebranding efforts and work collaboratively with the communications team to ensure the thoughtful implementation of all rebranding efforts. Provide leadership in fundraising and capitalization by overseeing development strategies, and serve as a liaison to major development partners and funders. Ensure the Fund’s financial strength and ongoing sustainability through oversight of the financial management function. Oversee management of assets and compliance with all government and investor requirements. Oversee lending activity by reviewing and approving organizational lending decisions including loan commitments, closings, extensions, renewals, and other actions. Coordinate involvement in public policy, advocacy work, and public education efforts. Provide vision and direction to senior management, and inspiration to NCCLF’s workforce by encouraging innovation and continuous development; and foster a healthy and vibrant organizational culture. Advise the Board on policy and strategic matters, nurture and support Board leadership efforts to ensure exemplary governance and oversight of all NCCLF activities, and assist with Board recruitment, orientation and development efforts. A career that demonstrates a strong commitment to building social, economic, and political power in marginalized communities. Demonstrated experience in one or more of NCCLF’s core lines of business. An innovator and stellar strategist with a successful track record aligning multiple stakeholders around a common vision and related strategies; and the ability to also foster an outcomes-driven team. Well-honed business acumen; and proven experience with fiscal management and operations. A successful track record developing relationships with investors, cultivating and expanding investor relationships, and securing funding from individual and institutional investors. A collaborative leadership style, including experience inspiring and motivating staff, and fostering collaboration and professional development. Demonstrated experience fostering high performance teams. Demonstrated experience in advancing a racial and economic equity agenda. Experience and ability to interact with diverse audiences and stakeholders, and the ability to listen to and be responsive to communities served. Masterful communication skills with excellent interpersonal and networking skills: a communicator who inspires genuineness and trust. Experience supporting the Board of Directors in its governance role, fostering its ongoing development, and engaging its members in strategy and resource development. Familiarity with CDFI’s business lines and the community development sector a plus.